on International Women’s Day 2019! FREE EVENT – REGISTER NOW! 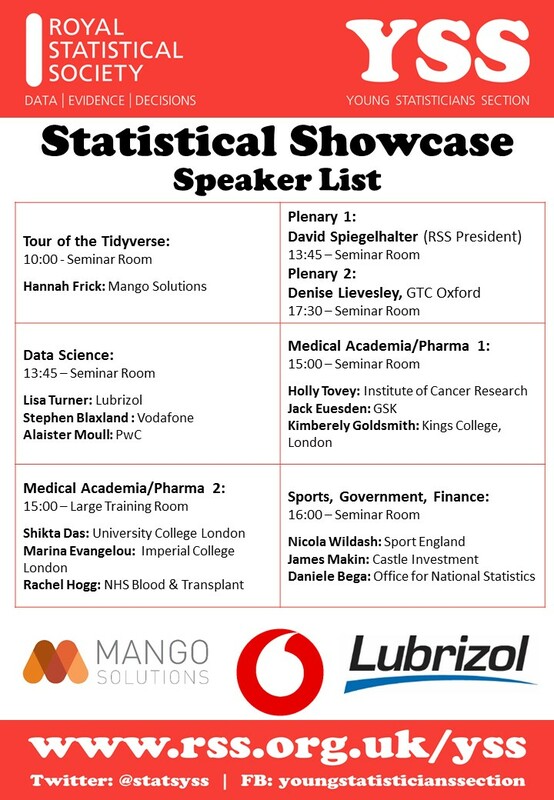 This event, jointly organised by the Young Statisticians and History of Statistics Sections of the RSS, will feature talks from a number of statisticians and data scientists celebrating and supporting women in statistics. Dr Linda Wijlaars (University College London) will present the life and accomplishments of epidemiological pioneer Dr Janet Elizabeth Lane-Claypon. Professor Deborah Ashby (Imperial College London and President of the RSS) will discuss women in statistics at present. Our panel Dr Susan Lovick (Phastar), Dr Lauren Rodgers (University of Exeter, Women in Mathematics Committee), Fatima Batool (University College London, Women in Data Science), and Maria Skoularidou (University of Cambridge, RSS Women in Statistics Special Interest Group) will share their experiences and engage in an audience discussion on the future of women in statistics and data science. 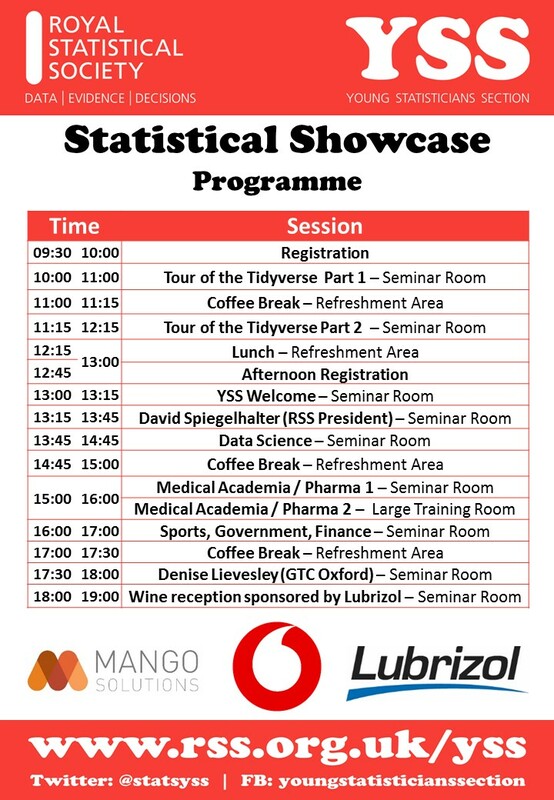 The YSS Statistical Showcase 2018 is an event which showcases the wide spectrum of career paths available to young statisticians and users of statistics. For more information and to register, please follow this link. The YSS are hosting a number of professional development and networking events to help you get the most out of the RSS conference in Cardiff. Join us Tuesday at 08:30 for our “Young Statisticians Guide to the Conference” session to get the top tips on how to make the most of the conference. Meet fellow career-young statisticians at our Young Statisticians Lunch Reception (13:15 Tuesday) and Pub Quiz Night (20:30 Wednesday). To find out more information about the events read our conference special bulletin, or read our reviews of sessions from last year’s conference. Would you like to join the 2019 YSS committee? The Young Statistician’s Section (YSS) of the Royal Statistical Society are seeking enthusiastic individuals to join the YSS committee for 2019. Being a member of the YSS committee is a commitment but very rewarding (and lots of fun!). It’s a great opportunity to network with your peers. If you are interested in finding out more information, please click HERE.